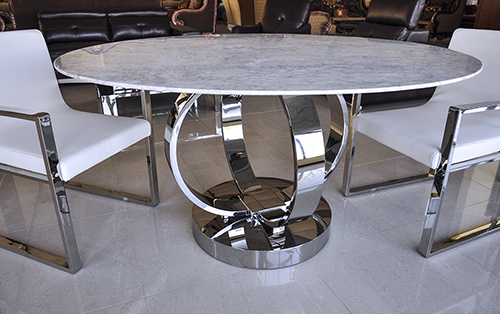 Cerchio Modern Dining Table offers luxury and elegance at a price you can afford. A dynamic marble top sits atop a dramatic and strong metal globed base. 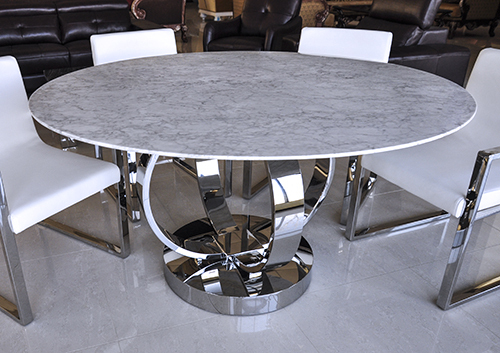 The Round Dining Table will be a fantastic addition to any kitchen or dining room.